Calling all trendsetters! Heads up: Want to make your wedding ceremony even more special? We do, too! The wedding ceremony experts here at Weddingstar have searched every corner of the earth to bring you the freshest, newest wedding ceremony details that will add a spectacular, unique twist on the traditional vow exchange, ring boxes and more!Browse our newly added items to Weddingstar's wedding ceremony shop and discover the newest trends from across the country. Choose your favourite and be one of the first brides to incorporate these items into your wedding ceremony. 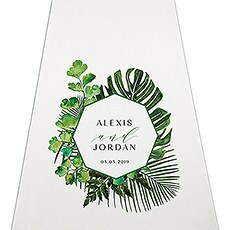 There is something for every taste, personality and wedding motif in our new ceremony section at Weddingstar.Choose from fabulous new signs that are ideal to incorporate into your upcoming wedding ceremony. Add your names to let your families know which side of the venue to sit on or use our lovely wooden signs to help guide your guests to where they need to go at the reception. Our signs are available in several motifs and will complement dozens of wedding colours and styles. 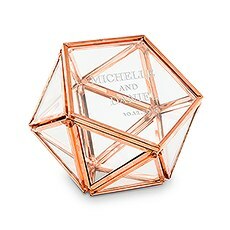 Browse our selection, as well as our personalisation options, to find the ideal sign for you.Incorporate a new tradition into your wedding ceremony with the use of our wedding ring holders - choose from boxes, terrariums or pocket watch styles. Customise these lovely ring holders, and we guarantee that they will become family heirlooms. Find the style that is perfect for your style and motif. Our classically beautiful designs are available a variety of different colours and finishes. Customisation is easy - use our personalisation tools to preview exactly how your item will look so there are no surprises. Pocket journals provide a place for you to jot down your thoughts, vows and safely keep other items to remember on your wedding day. Choose to emboss these classically designed items and choose from a variety of colours.These new wedding ceremony items are amazing, and our prices are even more so! These newest wedding ceremony decorations, props and details will add so much to your wedding day - you'll adore our great prices and fantastic wedding ceremony decor choices at Weddingstar!